The year 2018 was a great learning year for a midcap investor. Though the index hasn’t done much in the whole of 2018, some of the midcap stocks have gone on to become small cap. Investing in the right funds in 2018 made sure there is less red in the portfolio. So 2018, was the year where investors realized, markets don’t move in a straight line. Still, I believe the amount invested in 2018, SIP or otherwise in a mid-cap fund, will surely be more beneficial for a passive long-term investor. The approach for mid-cap in 2018 was cautious for me, and it played out very well. The process we will use is- from the 4 and 5-star rated mid-cap fund by ValueResearchOnline, we will compare the performance for the past year, compare expense ratio and asset under management to get best mid-cap fund for 2019. We nail down to the funds that have neither very high nor under 1000 Crore of assets under management as well as the lower expense ratio. Axis Midcap Fund has scored well on both the fronts – one-year performance in the falling mid-caps as well as the expense ratio. Without a doubt, it is the best mid-cap fund to invest in 2019. 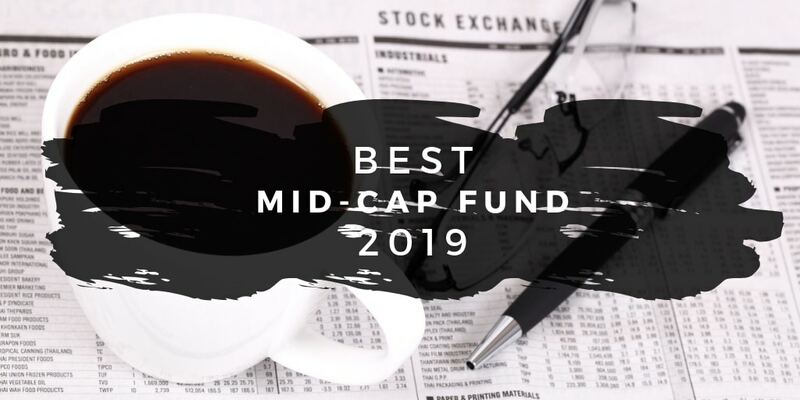 Just to add one more aspect, CRISIL also lists Axis Midcap fund as the top mid-cap fund of 2019. 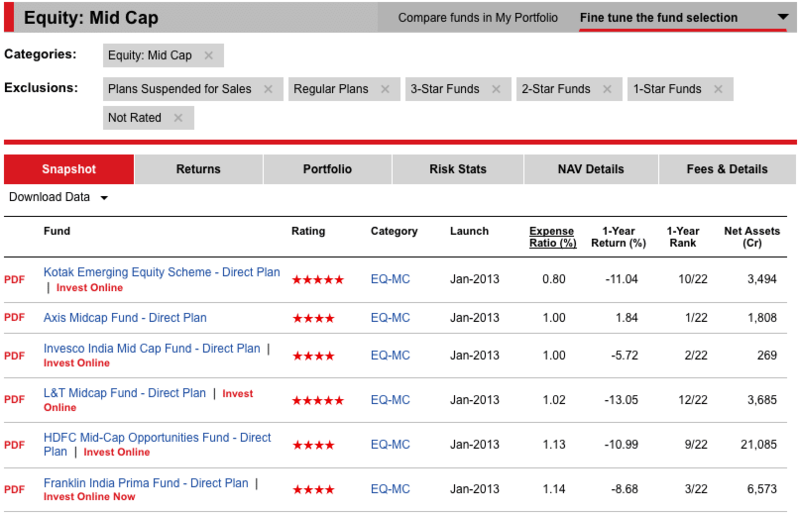 If we have to select more than one best mid-cap fund, it has to be Kotak Emerging Equity. Though it hasn’t been able to keep returns in last one year positive, it has fairly large asset under management and is low on expense ratio as well. How The Best Mid-Cap Funds of 2018 Performed? L&T Midcap Fund – Though the returns in the fund has been in negative 13%, it has still outperformed the benchmark as it is at a negative 16% returns. Mirae Asset Emerging Bluechip Fund – Has moved out of being the purely mid-cap fund into large and mid-cap fund category. Aditya Birla Sun Life Pure Value Fund – Has moved from mid-cap fund to Value Fund. Apart from Aditya Birla Sun Life Pure Value Fund, the other two funds has either beaten the new underlying benchmark index or is in line with its performance. And don’t forget to have the right mix of allocation in the large-cap funds for 2019 as well.